4/26 6-9pm MBM Dishclothes -April - Bloomin Beads, Etc. 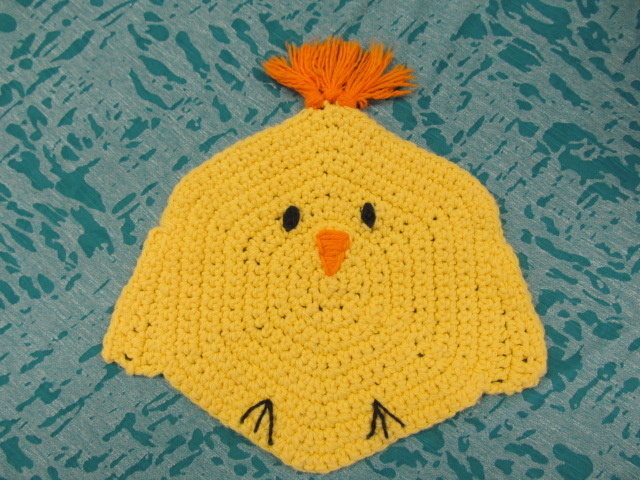 Learn to crochet cute dishcloths for April! Adorable yellow baby chick with poofy hair! April showers with an umbrella will follow the next week! Umbrella has many colors and so lovely. This is going to be so much fun, you don’t want to miss it! First class you attend you will need to purchase the booklet that contains all patterns for the year. Come join us for this fun class! Adorably Cute Chick!! Peep Peep! Makes washing dishes a little fun!